According to the official reports, three auto giants, Renault, Nissan Motor and Daimler, signed a cost-sharing agreement in Paris on Wednesday, they said was required to increase competitiveness. Daimler Chief Executive Officer Dieter Zetsche at a signing ceremony in Paris, said, "Right away, we are strengthening our competitiveness in the small and compact car segment and are reducing our CO2 footprint." The New York Times has reported that the three auto companies agreed to share technology related to smaller cars and power trains. 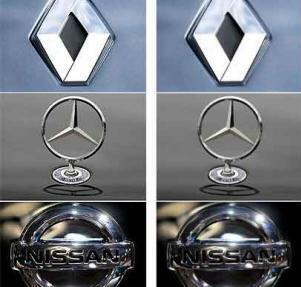 Renault already owns 44 percent of Nissan, while Nissan owns 15 percent of Renault. The new deal gives Nissan and Renault 1.55 percent of Daimler and gives Daimler 3.1 percent in each of the other two companies. Carlos Ghosn, chairman and chief executive officer of Nissan and Renault, said that through cost avoidance, the combined companies would save $3.6 billion through 2015.